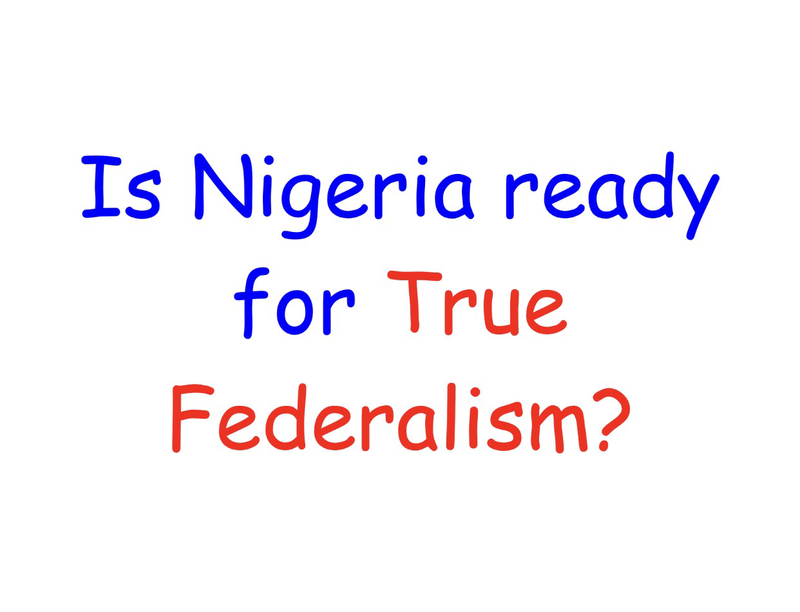 Is Nigeria ready for True Federalism? The short answer is yes. If you want to know why please keep reading. Let’s say I steal your phone. I’m sure you would want your phone back, right? The reasons Nigerians are poor and in crisis is because the 1999 Constitution stole our freedoms. Ready why here: Nigerians are poor because Nigerians are not free. Now let me ask you. Are you ready to get your phone back? Yes! You don’t need any special waiting period to get your phone back or do you? Nigerians are ready for True Federalism. No need to wait.